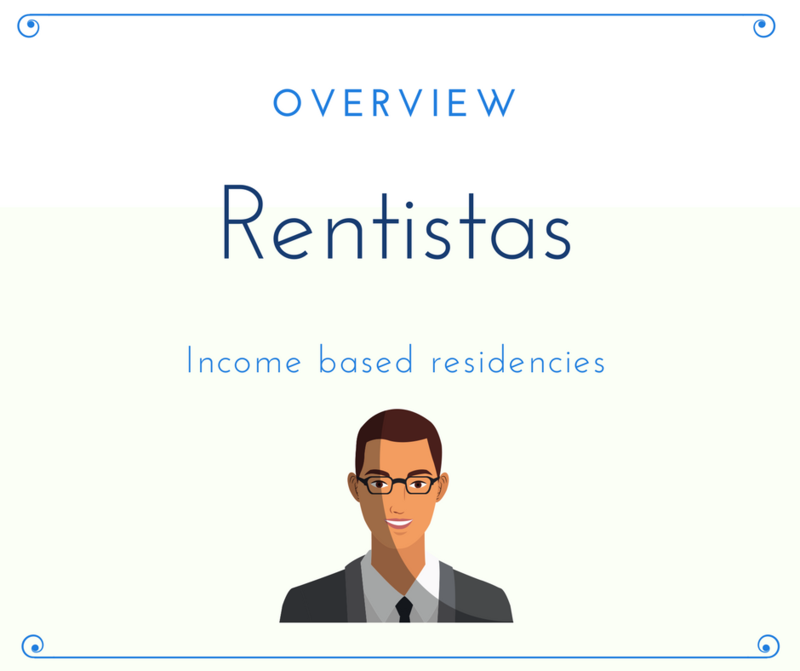 This article is intended to provide our readers with an overview about the residency application process in Argentina for the “income based” (rentista) temporary residency permit of non-Mercosur citizens using the procedure of “radicaciones”. The main immigration statute in Argentina is the act n° 25.871 (Immigration Act) that provides the basic structure of the argentine immigration system. An alien who wishes to come to Argentina as a “temporary resident” must fit into one of numerous qualifying categories, defined in the Immigration Act, section II, chapter I, provision 23. For the purpose of this article I will discuss the “income based” temporary residency permit contained in provision 23, b) of the Immigrations Act. The applicant of the “income based” residency permit must prove that he or she has a guaranteed income of ar$ 30.000 pesos monthly ($2,100 USD aprox.) and that this income will be transferred to an Argentine bank account on his name. i) financial investments: This type of income includes an annuity, receipts from a trust, interest payments from certificates of deposits, and any type of financial investments that generates interest or income. ii) income derived from payment of distributions from a business you own in your home country. iii) income derived from payment of rent from property rentals located outside of Argentina. Therefore, the applicant must prove that the income is generated by any of the sources described in i) to iii) above and that it is not tied to job located abroad and that the income will continue once you relocate to Argentina. Once this one year temporary residency permit has been granted, the applicant can apply for a National Identification Card (DNI or Documento Nacional de Identidad) and can also work legally in Argentina. Aliens who qualify for the “income based” temporary residency classifications can become a temporary resident without having to apply at the Argentine consular post in their homeland, since they are be able to adjust their status (tourist status most of the times) through the National Directorate of Immigrations (DNM) in Argentina from “tourist” to “temporary resident” status, this procedure is known as “radicaciones”. If you decide to submit your application using the “radicaciones” procedure, your application must be submitted in Argentina, being you present in the country, avoiding consular intervention abroad. The temporary residency granted will be valid for a year, and can be extended in one year increments, convertible to a permanent residency after the three years, granting you the right to live permanently in Argentina. This residency application process (once filed with the Dirección Nacional de Migraciones) takes approximately 40 days from the filing date, but the date of the filing you will obtain a Residencia Precaria which is a 3 months residency that you have to hold on to until the one year temporary residency permit is issued. The residencia precaria grants already the rights of reentry and the right to live anywhere in Argentina and to work in any way you choose. The accompanying spouse and children can apply with the main applicant all at the same time, as the DNM will approve the main applicants residency petition and family members together. The ar$ 30,000 pesos (usd $2,100) income requirement a month remains the same for a single petitioner or a married one with children. – passport and simple copies of all of its pages. – documents proving that you earn an income derived from any of the sources described above. All documents issued outside of Argentina will need to have an Apostille legalization affixed or a legalization from the Argentine Consulate in the country of issuance of the document. Also, all documents in a language other than Spanish must be translated in Argentina by a licensed translator, having its signature certified at the “Colegio de Traductores”. The immigrations fee for this application is ar$ 1200 (US$ 150). Since immigration law is ever changing, the information in this column is of general nature and if you are planning to apply for residency, its in your best interest to consult with an immigration law attorney or contact the National Directorate of Immigrations regarding your case.